The support forum accounts are only for verified purchasers of the themes. Our customers buy more than a zip file: you get our themes + our support. Please, contact us via the contact form and send us the sale ID and the username you want. Please, mail us via the contact form at our profile page on ThemeForest and send us the username you want. We'll reply as soon as posible to get you rid of your problem (less than 24h from Monday to Friday). Please, be patient, we're located on GMT+1. Many thanks for purchasing!!! With more than 400+ sales, xPalladium is our most recent product and the Most Complete Multipurpose Drupal Theme we’ve ever made: Drupal Commerce, Corporate, Business and Portfolio. All in one. The Bundles allow you to purchase an entire package of products with a permanent 20% Discount. © 2018 - 2011 DoubleMThemes. All rights reserved. All brand logos and names mentioned in demos are registered trademarks of their respective owners. All Demo images used on the products are properly licensed by their respective authors to DoubleMThemes for demo purposes and are not included in the downloadable packages. Drupal® and Drupal logo® are registered trademarks of Dries Buytaert. Everything in DoubleMThemes... everything... is powered by the amazing Drupal. 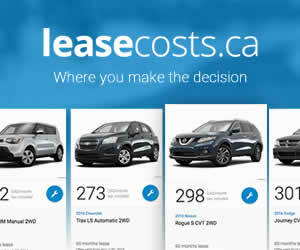 DoubleMThemes is sponsored by LeaseCosts Canada.